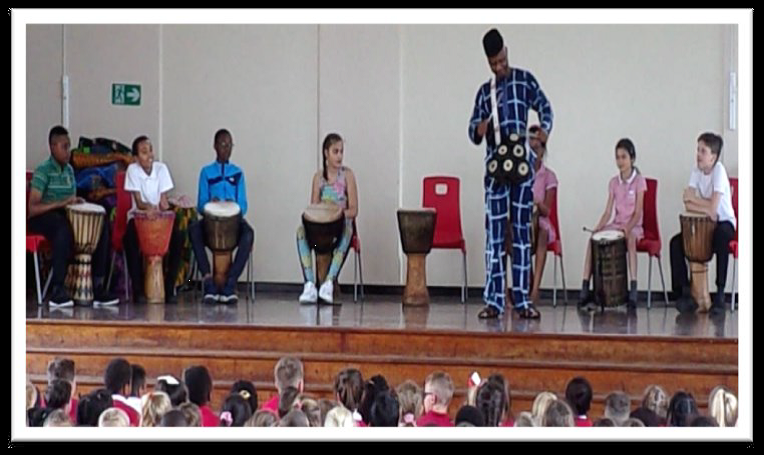 On 6th June, Year 5 took part in several workshops relating to Africa. They learnt authentic African dance moves from Ghana, the Ivory Coast and Kenya, heard traditional African tales, made African masks and learnt how to play djembe drums. The children really enjoyed the activities and they have produced some wonderful work.